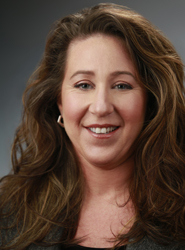 Lisa R. Bruner was appointed vice president, North Slope Operations & Development in Alaska for ConocoPhillips effective September 1, 2016. Bruner has 25 years of operational, planning and strategy, line management and supervision, and human resource experience. She has held numerous engineering, operations and management positions in the Gulf of Mexico, North Sea, Middle East, Southeast Asia and San Juan Basin. Bruner joined the company in 1989 as an engineer in Lafayette, La. She became supervisor, operating unit support team in Dubai, supervising engineering support for offshore oil fields in 1998. Between 2001-2004 she was an operating unit manager in Aberdeen, Scotland, working to implement a three-year exploration strategy in the North Sea. In 2004, Bruner accepted a leadership development position in Houston, Texas, with responsibility for global leadership development, including design and implementation. In June 2006, she assumed the position of asset manager for Indonesia and became vice president, Projects, Indonesia in 2011. Bruner was named to her previous role in August 2012 as operations manager, San Juan Business Unit. Raised in Ohio, Bruner earned a Bachelor of Science degree in petroleum engineering from Texas A&M University.